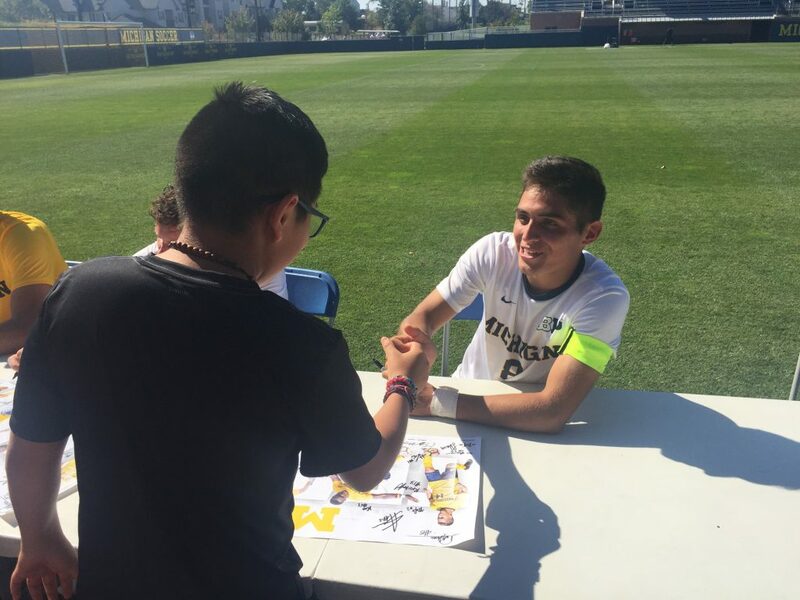 The University of Michigan soccer team displayed the art and writing of 117 AAPS students at their soccer game again against Northwestern on September 24. Thanks to generous donations from the Malloy Foundation and the University of Michigan men’s soccer team, students and their families received two free tickets to the game. 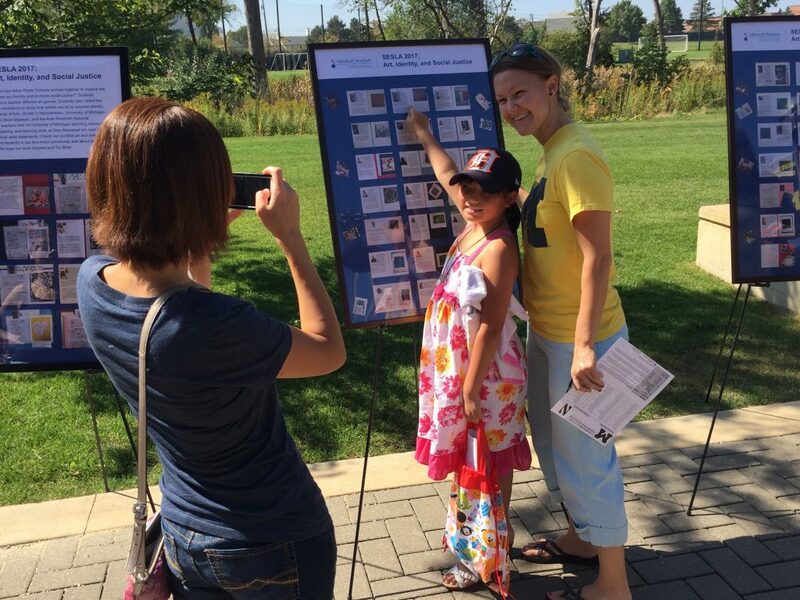 They shared their art and artist statements with their families and local community members at the soccer stadium. To see a video of the program created by Evelyn Daugherty, EL teacher at Scarlett Middle School, click here. 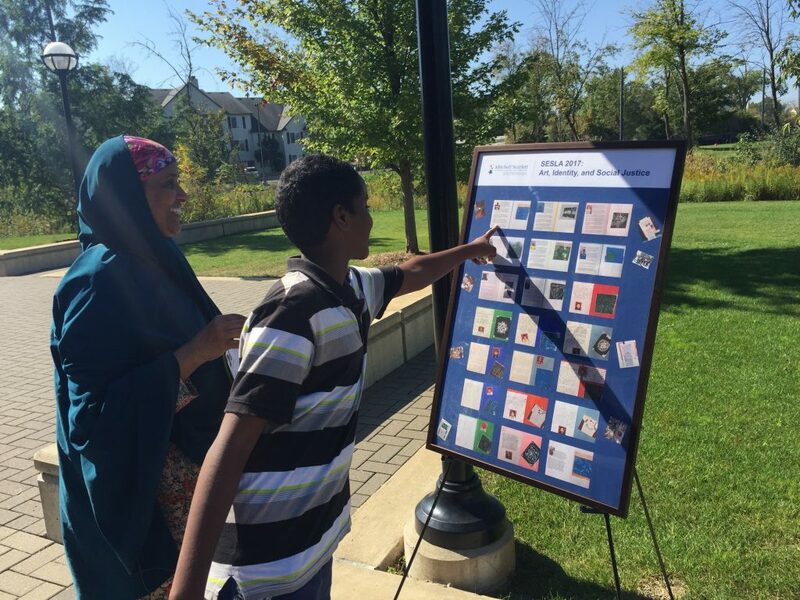 Students visited the following local museums and public art exhibitions to study how artists use art to express identity and promote social justice: Detroit Institute of Arts, Murals in Mexicantown, University of Michigan Museum of Art, Graffiti Alley, the African Bead Museum, and the Arab American National Museum. These experiences fueled rigorous academic work in the classroom focused on developing reading, writing, speaking, and listening skills as students discussed art, read about art, wrote about art, and created their final artist statements. 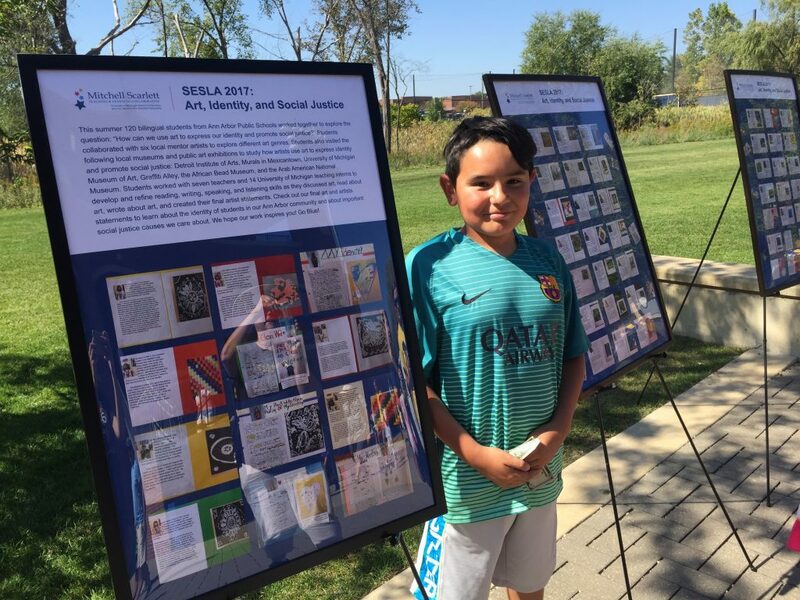 SESLA is one of the many initiatives of the Mitchell-Scarlett Teaching and Learning Collaborative, a partnership with the University of Michigan School of Education. 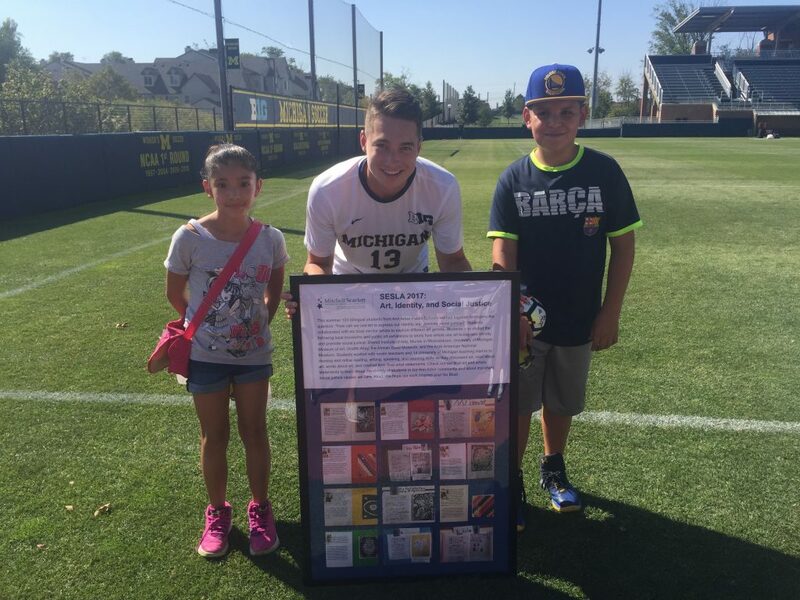 The display of student work at the soccer stadium is part of an ongoing collaboration between the University of Michigan Men’s soccer team and Scarlett Middle School. Last winter, the team volunteered at Scarlett for 3 months to work with bilingual sixth grade students to develop and implement a community service project at Mitchell Elementary School. This summer, head coach Chaka Daley sent a video message to students inviting them to create art and artist statements for the September 24 soccer game.